Is a Destiny Child Global PC version in the works? Today's release of the global version of Destiny Child was a good surprise. However, this is a mobile game that many players wouldn't mind playing on PC – sure, you can do so using an emulator, but there is nothing like the real deal. While Japan has an official PC version through publisher DMM, we haven't heard anything besides a global release for mobile devices. Nevertheless, the always attentive folks at Reddit, more specifically a user named gunkribo, have discovered one piece of info from the global version that may hint at a PC release. 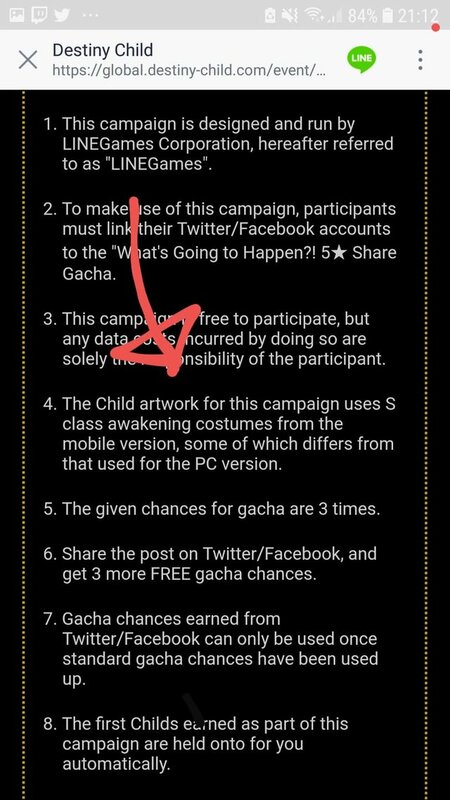 The info comes from the Share Gacha event small print seen in the global version, as you can read in the image below. “PC version”? Are we reading too much into it or was this bit of legal info mentioning something that is still in development? We'll have to wait and see.